This process is actually very straightforward. 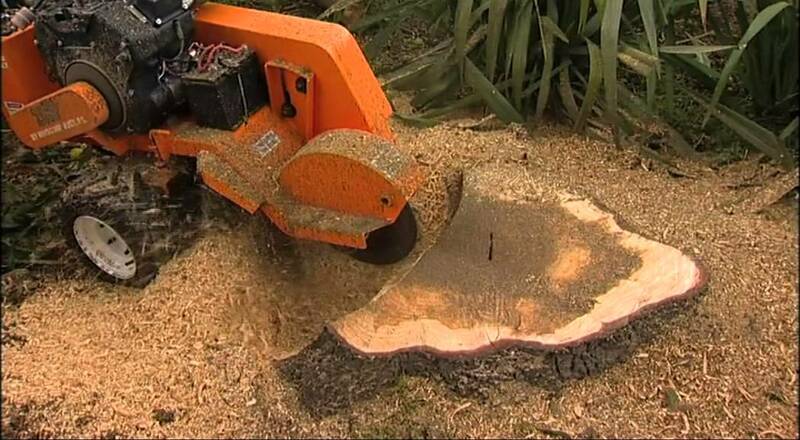 There is a machine called a stump grinder that will be placed adjacent to the stump. It will begin to grind the stump into sawdust. They are designed to work with virtually any type of soft or hardwood. Depending upon the size of the stump grinder, and its overall power, it could take hours or days to complete the job. A stump grinder or stump cutter is a power tool or equipment attachment that grinding tree stumps by means of a rotating cutting disc that chips away the wood. Once you have received all of the estimates, and you have done your research on these different companies, you will know exactly who to call. You can set a time for them to come out, and they can begin the process of grinding your stump. In most cases, they can complete the process in an hour or two, and it will be as if it was never there. Your research will help you find the best company with stump grinding equipment that can help you accomplish this task. Best of all, you will know exactly how much it will cost from each company via their estimates, and you can save money by selecting the business with the most reasonable prices.